In the previous post, we insisted on essence of preparation on behavioral questions before interviews. In our real interviews, we experienced a considerable number of times when the candidate was technically strong but failed miserably in the behavioral question leading to "No Hire" vote! Over the past months, we have conducted extensive research and consultations with experienced interviewers in order to collect the behavioral questions most frequently presented in software engineering interviews. 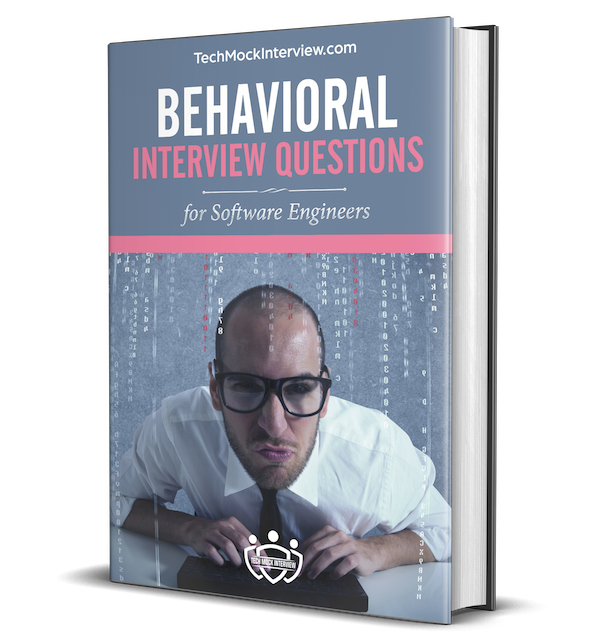 In our "Behavioral Interview Question for Software Engineers" ebook, we provided strategies for addressing each question, followed by sample responses from engineers currently working in large tech companies. This collection has been validated with a number of hiring managers to ensure that the dialogues are aligned with their expectations. We believe that practicing on these questions gives you enough confidence not to worry about behavioral part of the interview in order to focus more on the technical aspect. In cases where the questions were similar, we have combined multiple questions into a single scenario to avoid repetition. For example, questions such as “Why do you want to leave your company” and “Tell me about some of the issues in your current job” have been condensed, though some candidates may have different answers to each. The price for the ebook is 19$ 8.9$ (53% off for limited time only, No Discount Code is required!) .